We also provide components from other manufacturers - be sure to check our full manufacturers list. ATE-electronics s.r.l. is an Italian producer of fixed power wirewound resistors with 30-year experience. It delivers high-quality products according to the customers' requests with a very good rate of quality and price in a short time. 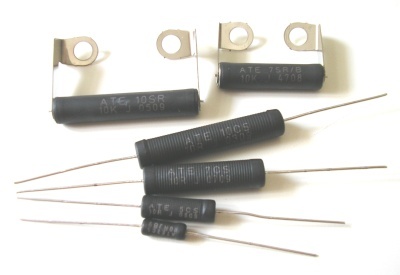 ATE-electronics produces resistors according to the international standards of quality and many of their products meet the MIL and CSCC standards. ATE-electronics offers efficient wire resistors in standard cases, with aluminium radiators and also in 2W cases for surface assembly. Modules with non-inductive thick-layer-resistors appointed for high-frequency applications represent a fundamental production area. deals with development and production of high-frequency lining parts, as sockets for integrate circuits, connectors, switches, cables etc. E-tec is famous for the Swiss precision and production quality of all its products. This company is characteristic of wide range of test sockets and adapters for different kinds of integrate circuit cases. Adapters and sockets are available already from pin distance of 0.40 mm. Apart from standardly produced types, E-tec adjusts its production to the most recent technologies and requests of customers. Gregor Hofbauer GmbH is a German company with more than a hundred-year tradition of transit packaging production. In early 1970s it invested massively in new technologies and became a European leader in the production of plastic industrial cases, transit boxes and containers. Hofbauer specialises in 2 basic technologies. 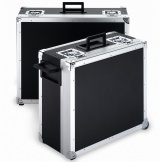 It produces injection-moulded single-walled cases which can be used mainly for product presentation. It also manufactures blow-moulded double-walled cases with high impact resistance and long lifetime. The Hofbauer company also offers aluminium boxes and a range of extremely resistant containers Explorer which can be used in any environment. This type of containers provide protection for all kinds of products and equipment as meters, sensors, photography equipment, communication devices, expeditionary equipment, etc. Extrusion blow moulding double walled industrial cases Extrusion injection moulding single walled industrial cases Transport cases to perform in even the most severe conditions Aluminium transport boxes and cases. Spanish company Transformadores Jesiva, S.L. is a specialised producer, which offers a wide assortment of transformators from standard types appointed for DPS assembly up to efficient three-phase transformators used in traction systems. Apart from the main production program JESIVA offers power supplies. JESIVA is a fast expanding company. It guarantees high flexibility when meeting customers' requests, customer types of transformators, short delivery terms and high quality of its products for competitive prices. J.S.T. -Mfg. Co., Ltd. is one of ten largest worldwide electronic connectors' producers, which started producing solderless terminals/connections. Nowadays the production program of JST offers wide assortment of connectors for consumer, medical, automobile, IT and telecommunication technology. JST constantly develops new products according to the customers' requests and modern technology. J.S.T. Group. is a global net of plants, research-development centres and service centres supplying connector systems with high reliability, which are technologically progressive and affordable. MEDER electronic AG belongs to the worldwide leaders of development and production of reer technology products. 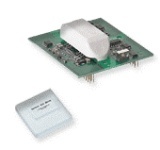 The production portfolio consists mainly of reer contacts, sensors and relays. The outstanding feature of these parts is their high reliability thanks to their construction, long lifetime period and ability to work under extremely demanding conditions. Moreover the company offers assortment as level-control sensors, magnets and optocouplers. The products of the MEDER electronic AG company are used in meters, household appliances, automobile technology, security systems, telecommunication technology and medical appliances. SAURO s.r.l. is an Italian producer of joining components for printed circuit boards. Quality direct and slide terminals with rising cage clamp which is called a lift system has the domain position in their production. 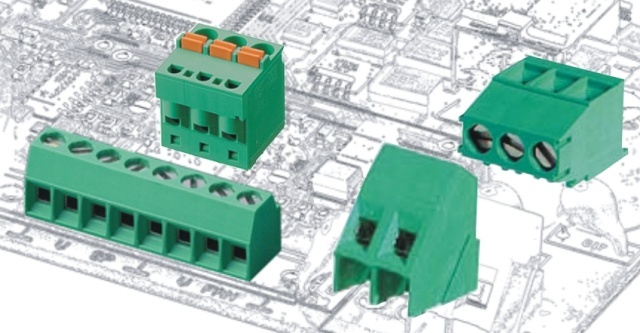 SAURO offers expanding PURIMA blocks, which are multilevel terminals and also component kits for attaching the printed circuits to a DIN rail. The SAURO company develops its products according to the customers' demands, and therefore all its products meet the strictest security and environmental standards. All SAURO products have to pass a 100% functional testing. 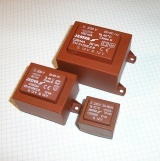 SEMIKRON is the leader on the market of the thyristor-diode modules with a 34% share on the worldwide trade. SEMIKRON Elektronik GmbH & Co.KG creates a global net of 35 companies which guarantees prompt and professional customer service. It employees 3000 people worldwide. SEMIKRON became a trademark for progressive technologies like wind electrical generators, solar sources, electrical vehicles, welding machines, elevators, power supplies, conveyer belt and trams. This company belongs to the significant innovators in the sector of efficient electronics and a number of its progressive development modifications were accepted as industrial standards. The range of products offered by SEMIKRON consists of more then 21,000 different efficient products including chips, efficient modules (IGBT / MOSFET / diode / thyristor), power modules, security articles and integrate subsystems. NT Magnetics s.r.o. belongs to the TALEMA Group production plants. 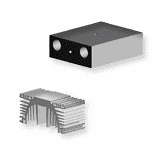 TALEMA specialises in production of toroidal components as toroidal transformers with a possibility of assembly to PCB or DIN rail, power chokes and inductors SMPS transformers chokes, current sensors, current sense transformers. Moreover, it produces components for data communication as transformers for coupling, impedance, isolation, compensation, suppression and transmission. Talema Group is one of the biggest producers of toroidal components among Europe and Asia. The NT Magnetics s.r.o. company produces toroidal transformers for Talema Group which are appointed for general use from 1,6 VA to 7500 VA and for assembly to the printed circuit boards up to 160 VA .
Würth Elektronik is one of the most progressive and fastest growing companies of the Würth Group concern. Würth Elektronik eiSos GmbH & Co.KG develops and produces apart from other products high quality induction parts, e. g. EMC components, antijamming chokes, transformators, ferrites, shield material and HF ceramic filters. All supplied products are designed to fulfil the most demanding standards like FCC and CE. Würth Elektronik adjusts its assortment to the needs of the most recent technologies and provides the maximum support to its customers when developing their new installations, both prompt sample deliveries and provision of professional assistance. Telecom transformers, LAN power transfor. We also distribute different parts - be sure to check our full manufacturers list.